While everyone else in Canada is at the lake, on the deck, on the road, in the boat - living and loving life - I will sob jealous tears against all you long weekenders out there. This is my weekend to work. And I'll be gall-darned if it isn't the long weekend, and SUMMER TIME! Ugh. Just ugh! SO. Tea. Having worked at a Starbucks all through university, I fancied myself quite the little coffee connoisseur. Those were the days of multiple lattes, iced coffees, americanos and the occasional espresso (with whipped cream and caramel drizzle, obviously). Those days, oh those days, they did me in. I do enjoy a good cup of coffee, a latte or americano now and then, but it's been two years since I worked at Starbucks, and over those two years, I've done it! I've weened myself off the caffeine drip and opted for it's lovely little sister, Tea. 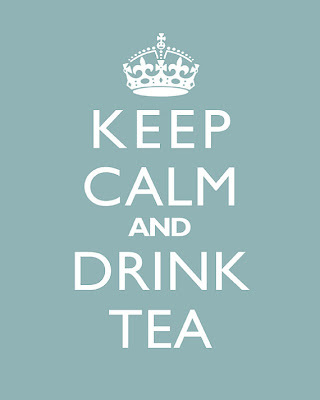 Tea is great. Tea warms me up when the AC is cranked a little too high in the office. Tea perks up my brain when I want so desperately to have an after lunch nap right on top of my keyboard. Tea comes in SO many different types and flavors - my adventurous, indecisive pallet has a blast trying new types. 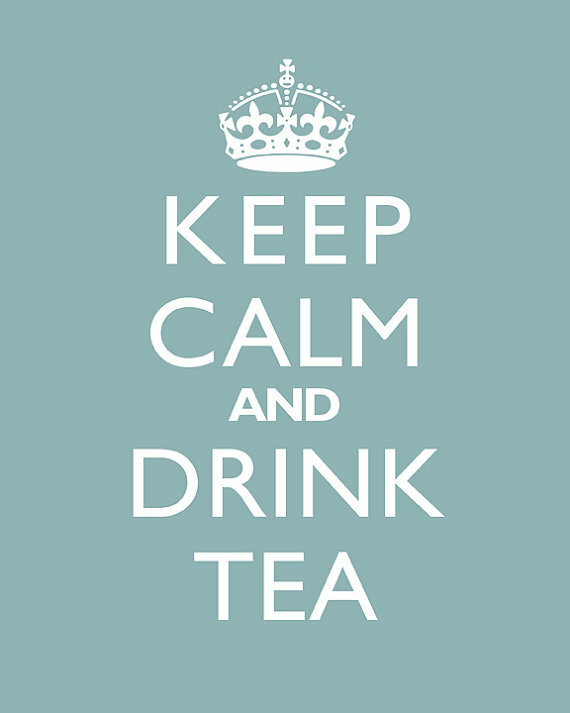 Tea doesn't require a good food to tea ratio as both alcohol and coffee do. Tea doesn't leave me feeling like a meth addict, I don't buzz, I gently hummm... mmmmm teeeeaaaa.